WORLD PREMIERE Co-created by Fred Armisen, Bill Hader, Seth Meyers and Rhys Thomas and executive produced by Lorne Michaels, IFC’s Documentary Now! is known for lovingly paying homage to the world of documentaries. Honoring beloved films like Grey Gardens, The Thin Blue Line and Jiro Dreams of Sushi, Documentary Now! has quickly become a favorite within the documentary community and has helped to expose a broader audience to the classic works that inspire its episodes. 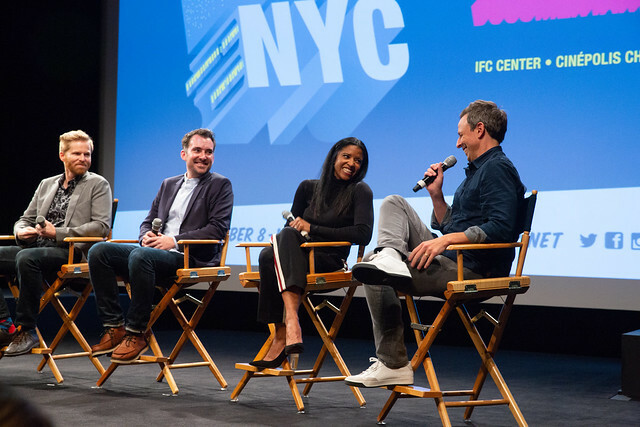 DOC NYC is excited to present the world premiere of Original Cast Album: Co-op, an episode from the series’ upcoming third season, followed by a conversation with creators Seth Meyers and Rhys Thomas, director Alex Buono, writer and star John Mulaney and star Renee Elise Goldsberry. Original Cast Album: Co-op is inspired by Original Cast Album: Company, the 1970 D.A. Pennebaker documentary that follows the strenuous overnight cast recording of Stephen Sondheim’s hit musical. 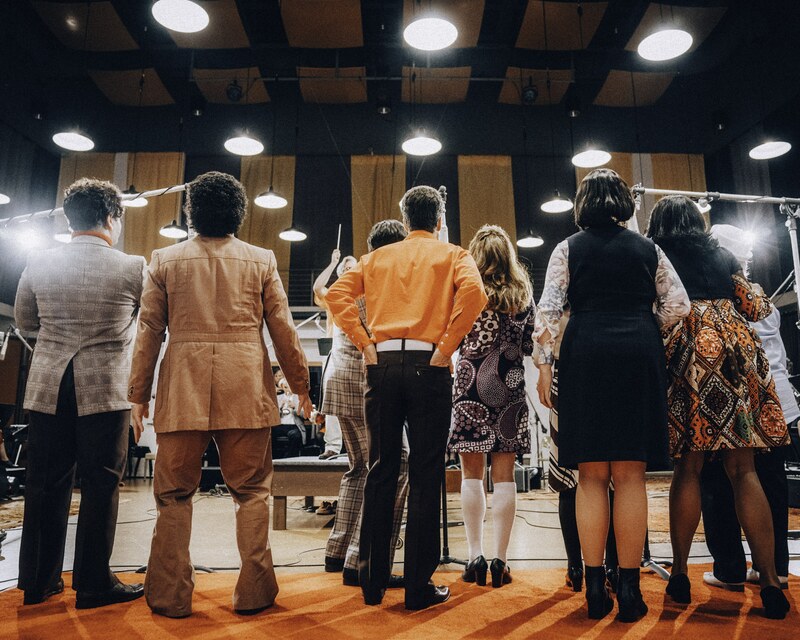 Documentary Now!’s Original Cast Album: Co-op follows producers Benedict Juniper (Taran Killam), Simon Sawyer (John Mulaney) and Howard Pine (James Urbaniak) overseeing the recording for the cast album of the musical Co-Op. The star-studded cast of Co-op includes Kenny (Alex Brightman), Larry (Richard Kind), Patty (Paula Pell) and Dee Dee (Renee Elise Goldsberry).